In an exciting new development, World Land Trust (WLT)’s website is now showing images streamed live from two webcams in Armenia. 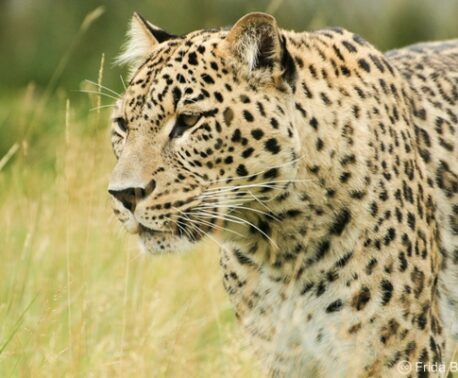 The cameras are in the Caucasus Wildlife Refuge (CWR), which is owned and managed by the Foundation for the Preservation of Wildlife and Cultural Assets (FPWC) and supported by WLT. So far the cameras have recorded Grey Wolf (Canis lupus) at night and Red Foxes (Vulpes vulpes) during the day and at night. 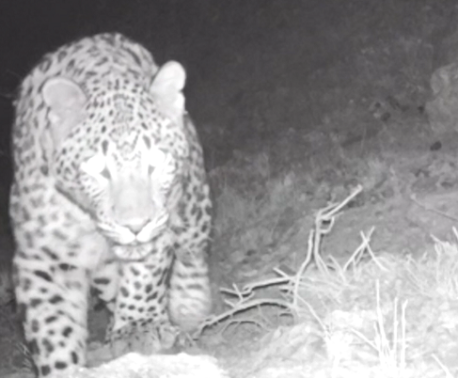 It is hoped that in due course the cameras will record images of rarer large mammals known to be in the reserve, Caucasian Leopard (Panthera pardus saxicolor) and Syrian Brown Bear (Ursus arctos syriacus). 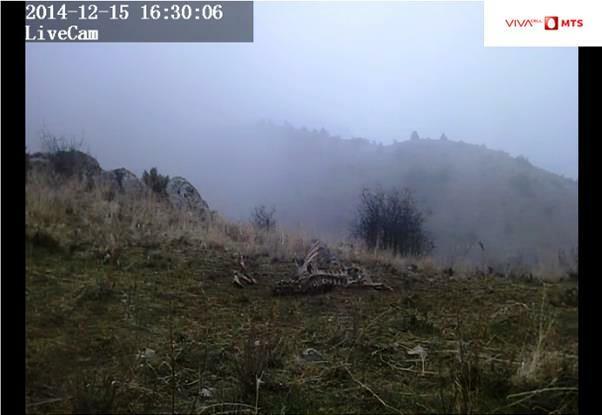 “World Land Trust’s relationship with FPWC has always been very productive and this recent collaboration to stream webcam images from the Caucasus Wildlife Refuge adds another dimension to our great partnership,” said Mary McEvoy, WLT’s Conservation Programmes Manager. So far, the cameras have also recorded Golden Eagles (Aquila chrysaetos) in the morning and in the late afternoon and a Cinereous Vulture (Aegypius monachus). The Cinereous Vulture is listed as Near Threatened on the IUCN Red List. The global population of the species is declining, with an estimated total population of 7,200-10,000 pairs across Europe and Asia. Persecution and, increasingly, a lack of carrion explain the falling numbers of vultures and other large predators. Changes in agriculture in eastern Europe and central Asia have reduced the number domestic livestock carcases left in the landscape, and wild ungulates are also declining. Both are an important food source for the Cinereous Vulture and various other species in Armenia including Eurasian Black Vulture (Aegypius monachus), Bearded Vulture (Gypaetus barbatus) and Eurasian Griffon Vulture (Gyps fulvus). However, inside the CWR, it is a different story. Protected from poachers and trophy hunters, populations of the wild Bezoar Goats are thriving and are themselves important prey species. WLT shows live webcam images on its website to provide a window on the wild world. Visitors to the webcam page can view the two Armenia webcams and two others in the Atlantic forest, in Paraná state, Brazil. The Atlantic forest cameras are maintained by Luciano Breves, a WLT supporter and wildlife documentary filmmaker. As the result of a new corporate partnership, the media company Reefcam is now supporting WLT’s webcams. These webcams are very popular with visitors to WLT’s website, and if everyone watching WLT’s webcams made a donation of £1, it would cover the cost of keeping the cameras running and help fund urgent conservation projects. Viewers can also use a mobile phone to make a donation to support the webcams. For example, if you text WEBC13 £5 to 70070, World Land Trust’s webcam fund will receive £5. You can also make a donation to support WLT’s webcam page by clicking on the donate button on the page. You can also donate to Keepers of the Wild by texting from your mobile phone. For example, if you’d like to donate £5, text KOTW14 £5 to 70070. The maximum donation by text at any one time is £10.